The Boom-and-Bust cycle—in the context of coal and oil—is a feedback loop that often locks in communities into economic dependency. This page will focus on coal and the boom-and-bust economy ofWyoming. During an interview with former Wyoming State Senator Bill Vasey, he talks about this economic feedback loop, and why this makes it difficult to live in a state with an extraction-based economy. 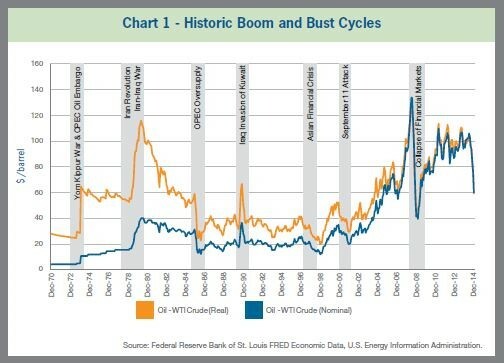 “[The Boom-and-Bust cycle] is a cycle that Wyoming has always lived with. The downside of this is that the state always just kept saying ‘We need to diversify the economy’. Well, we never have because when things are tough, then all of a sudden, the price of coal goes up or another mine comes up and we’re back in the dollars” (Vasey). The state’s decision to remain dependent on mineral resources has consequences for the country as well as the small mining communities within Wyoming and Montana. However, due to pressures from environmental policies, prior economic dependence and global demand for coal, it is difficult for these states to break out of the extraction economy. The history of the Wyoming Basin dates as far back as 1843 when settlers and trappers who used coal to keep warm in the harsh winters found that Wyoming held massive reserves of this resource (Anderson). It was not until 1859 that the Basin was discovered to have massive amounts of what would become highly valued subbituminous coal, and in 1867 the Union Pacific Railroad began construction of rail lines to the Basin in order to transport this fuel to the East Coast. 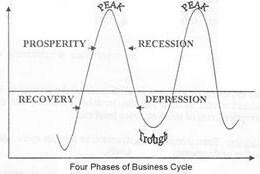 Before exploring the economic consequences of this discovery, it is important to first understand the social consequences of the Boom-and-Bust cycle. The initial construction of the railroads and mines led to a huge influx of people to Wyoming. Migrant workers, or workers who followed mining jobs, were an especially large contributor to this population increase. The number of migrant workers led to culturally diverse boomtowns around the state, which in turn created division between white workers and other immigrants. Tensions among Chinese and white workers were especially high during the construction of the Union Pacific Railroad. Chinese workers often crowded together in poor living conditions and were able to work for less money, thus out-competing white American workers and making an already inconsistent job even more precarious (Rea). One of the most violent incidents occurred in 1882 in Rock Springs, Wyoming. Tensions among white and Chinese workers were so high that the white rail workers carried out a massacre—chasing Chinese immigrants out of town and leaving hundreds dead (Rea). The racist message to Union Pacific did not improve working conditions even for white workers, because the railroad resisted to raise pay increases and the workers continued to build side-by-side. In 1869, ten years after the project began, Wyoming celebrated the completion of the Union Pacific Railroad (Nickerson). Only one year later, coal was declared the dominant mineral product of Wyoming, and the Wyoming State National Geological Survey believed that it would only continue to increase in profitability. During this time most of the coal used in the United States was low-grade and heavily polluting, but, in the 1990s, environmental policymakers admitted that lignite released an unhealthy amount of sulfur and amended the Clean Air Act of 1975 (EPA). 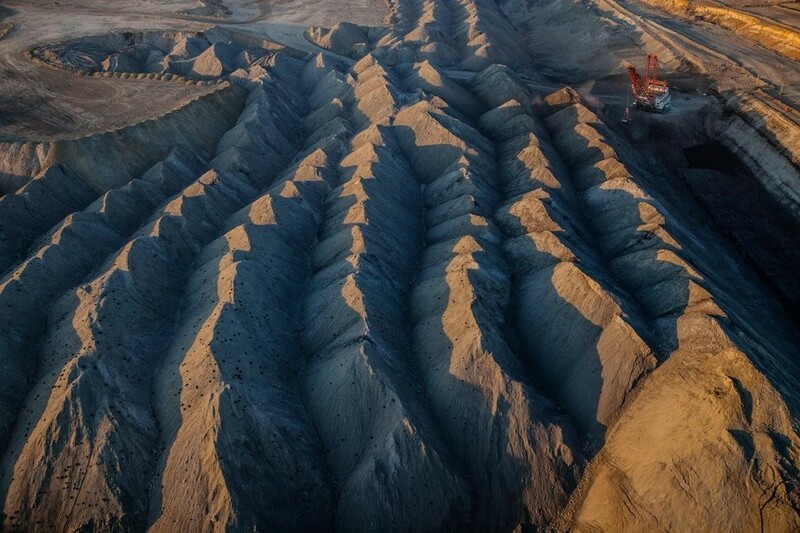 Wyoming responded by increasing mining for subbituminous coal—a type of coal that produces less pollution when it is burned (Wyoming Mining Association). This push toward using “cleaner” coal led to an increase in PRB development in both Wyoming and Montana (Gerking, Hamilton). Boomtowns were forming at a higher rate as more subbituminous coalmines opened around Wyoming. It is important to note that fracking for natural gas became popular in the 1990s, and that it has created its own Boom-and-Bust cycles. However, it is not yet eclipsing coal and does not look like it will be doing so in the near future (Gerking, Hamilton). Wyoming and Montana—the two states that contain the Powder River Basin—are not necessarily wrong to push for continued economic dependence on coal. New mines, processing plants and transportation of minerals create countless new jobs within the state. However, these jobs are temporary and encourage the formation of boomtowns, which disrupt local agricultural economies. While there is a boom, a lot of money is concentrated in one area. However, as soon as the price of coal drops or a mine is closed, the communities that have become dependent on resource extraction are left with no backup plan and little money. This pattern is especially relevant to economies—both on a large and small scale—that rely on coal, oil, and natural gas. Prices and supplies of minerals and energy fluctuate with financial pressures, including environmental policy pressures that have been discussed. The above diagram illustrates how mineral profitability fluctuates, and it is easy to see how that would affect the economy of areas that depend on coal and oil for the majority of their income. Busts are especially detrimental to small mining towns in states such as Wyoming, Montana, and North Dakota, where the majority of the states' jobs are based in extraction. A drop in demand or profit can mean huge losses for individuals, families, and communities, causing direct and long-lasting effects on the local and regional economy. Former State Senator Bill Vasey describes that, on one side “Gillette used to be kind of a dirty town, but they’ve taken the mineral money and made it really nice…it looks really nice now”, and on the other “[when a bust happens] people leave their houses or lose their houses. Some of them are just boomers though, and they follow the mines” (Vasey). Towns are left with little money to support public works like schools, libraries and transit. Governor Stanley Hathaway recognized this pattern of economic booms and busts in the late 1950s. In the hopes of preventing the Wyoming economy from continuing in the Boom-and-Bust cycle, Governor Hathaway proposed the creation of a Permanent Wyoming Mineral Trust Fund (PWMTF) in 1969 (Wyoming Taxpayers Association). The Wyoming Taxpayers Association documents that the history of this Bill began “in 1968 when Wyoming’s State bank balance was down to only $80”. In comparison, in 2015 the Wyoming Treasurer's Office reported having over $19 billion in funds. It was clear that Wyoming’s dependence on coal and oil, as well as its inability to diversify its economy was going to cost citizens greatly in the future if there was not a plan of action. In order to fund the PWMTF, the state implemented its first mineral severance tax on oil and coal companies. In the start, mineral and energy companies had to pay a 1% tax, but it has since been raised to 2.5%. This has created large revenues for the state and draws most funding from natural gas (48%), with coal and oil following at about 25% each. The diagram below shows the funds that have been brought in for the PWMTF over the years, but also shows how much the profitability and market for natural gas, oil, and coal has increased since 1968 (PWMTF). Booms and busts certainly still occur—as can be seen in Senator Vasey’s anecdotes about Gillette and Hanna, as well as the increased use of the Powder River Basin as a coal source, the increased use of natural gas, and environmental pressures to find cleaner energy sources. However, it seems that the PWMTF might be the key to helping fund vital state programs during a boom as well as helping Basin communities convert to clean energy. How do Boom-and-Bust Economics Affect Wyoming on a Smaller Scale? During an interview, former State Senator Bill Vasey spoke about the cultural diversity that occurs in states where the Boom-and-Bust cycle dominates the economy. He explained that raising children in Hanna, Wyoming, during boom times for coalmines meant that his children were exposed to diverse cultural backgrounds. With immigrant workers coming to work in the mines, many people from many different backgrounds were historically pushed together into mining towns. However, when busts occur people and money drain out of mining towns. Coal, oil and gas workers tend to be migratory, so they move to the next open mine—taking their money to a new community. Bill Vasey reflects on his personal experience with this, sharing a story about well-liked family within the community: “The great thing about being in a [boomtown] is that people get friendly really quick [when you move there]. I remember [after a bust] there was a family, and everyone had just gone to their housewarming party. It was just when I was leaving to go work in Rawlins that I found out they were moving their trailer out of Hanna too. It just hurt because they were good people, and you’d see where people would leave all the time. And, some of them were boomers so that’s just what they did” (Vasey). Because some people come to boomtowns to find work only to leave when the mine is closed, it is difficult for them to maintain funding to public operations such as education and transit. The PWMTF exists to help these towns, but many of them still end up disappearing after the inevitable bust. Could the PWMTF help Wyoming transition to clean energy? It is a strong possibility that the resources from this fund would be able to support a transition to clean energy, but there also has to be a willingness to transition, and a belief in the urgency of climate change. However, it is important to note that the discourse around using the PWMTF to fund clean-energy programs has little to no attention. Royalties from extraction corporations fund so much of Wyoming’s necessary programs—including colleges and education programs—that it is difficult to ask them to seriously consider other options. Similarly it seems that coal companies are investing more in discovering ways to cheaply transport that coal overseas and continue being the global leader in coal supplies (Gerking, Hamilton). This is not to say that there are not organizations in Wyoming and Montana that are fighting for a clean-energy future. Environmental organizations have taken a stance in the past and include: EarthJustice, Sierra Club, Blue Skies Campaign and more. Wyoming is beginning to become a regional leader in harnessing wind energy, leaving coal mining jobs "in the dust" (Davenport). Anderson, C. L. (n.d.). The coal business in Wyoming. Wyoming History. Davenport, Coral. (2016, June 19). As Wind Power Lifts Wyoming’s Fortunes, Coal Miners Are Left in the Dust. The New York Times. Gerking, S., & Hamilton, S. F. (2008). What explains the increased utilization of Powder River Basin coal in electric power generation? American Journal of Agricultural Economics. Nickerson, G. (2016, January 20). Industry, politics and power: The Union Pacific in Wyoming. Wyoming History. Rea, T. (n.d.). The Rock Springs Massacre. Wyoming History. Summary of the Clean Air Act. (2015, November 17). Swearingen, M. (2013). Wyoming's pile of coal. High Country News. Vasey, B. (2018, November 18). Boom & Bust Economics in Wyoming [Telephone interview]. Wyoming Mining Association: Coal. (2013). Wyoming State Treasurer's Office. (n.d.).